DST Drones provides mapping services for locations that require more than just traditional imagery. Our maps are created by taking a series of top-down images and then combining those together to create high-quality images that truly define a location. Similar to satellte imagery that you might have seen on Google Earth, these maps are useful in situations that require a higher resolution images or need a near real-time view of a changing environment (ie. a construction site). The generated orthomosaic map (non-survey grade) will show the location from a top-down view. This map can be generated at different resolutions depending upon the job requirements. We have the ability to map up to 300 acres at 2.0 cm/px during a shoot. 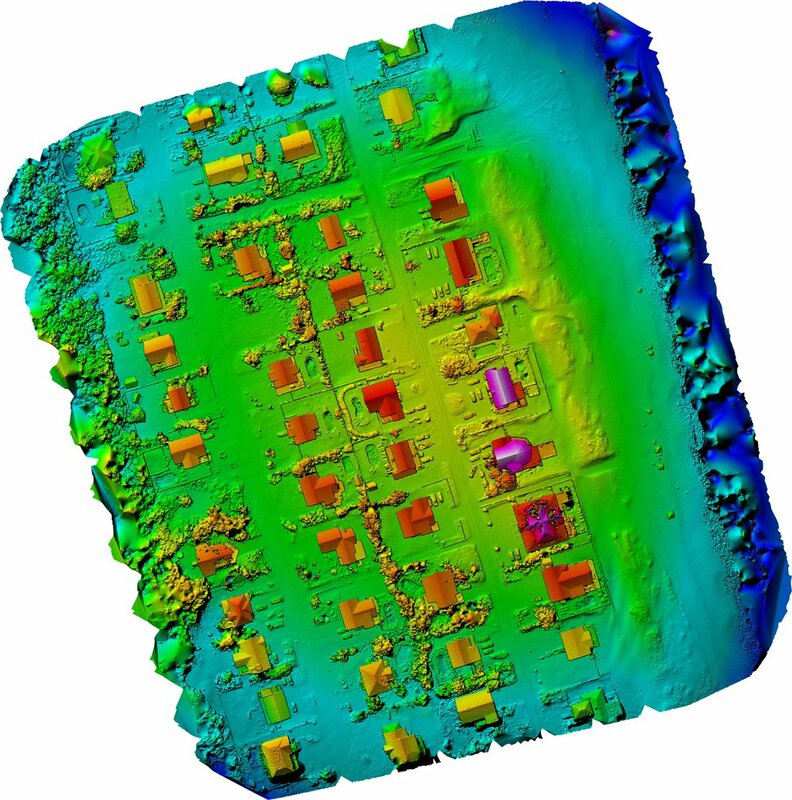 Additionally, a digital elevation model (DEM) is generated. This visualization shows relative height for buildings and other features within the mapped area. A 3D map is generated from the drone flight(s). This map allows you to navigate through the mapped location, examining details and features as if you were at the actual site. Mapping customers will be provided with a sharable URL link that will allow them to work with both the two and three dimensional models of the mapped areas. This URL can be shared to those who may need to view the mapped area.